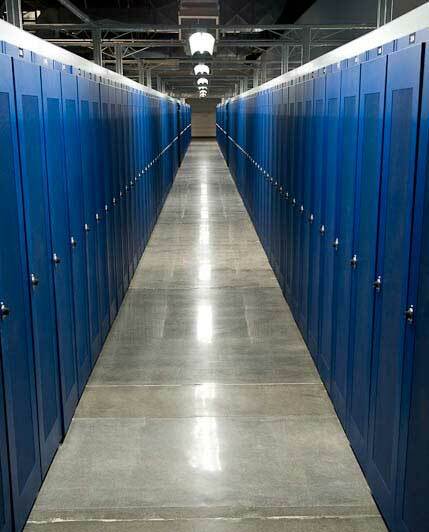 Long rows of cabinets line the equipment area at a Hurricane Electric data center in Fremont, California. Hurricane Electric, which operates the world's largest IPv6-native Internet backbone, has secured $13 million in financing from Bank of the West to fund a major expansion of its data center in Fremont, Calif.
Hurricane Electric, which operates the world's largest IPv6-native Internet backbone, has secured $13 million in financing from Bank of the West to fund a major expansion of its data center in Fremont, Calif. The company will use the funds to build and outfit 24,000 square feet of data center space at its Fremont 2 facility. The expansion will also add 3 megawatts of power capacity at Fremont 2, a 208,000 square foot facility. Hurricane Electric said the expansion will allow it to accommodate additional tenants seeking to leverage its global network. Hurricane Electric has been providing colocation services since Mike Leber founded the company in 1994. After starting with a few servers housed at MAE West (Market Post Tower) in San Jose, Calif., the company has expanded into several substantial data centers of its own. In recent years, Hurricane Electric has focused on the emerging market for IPv6 connectivity, and has built a network that is connected to 54 major exchange points and exchanges traffic directly with more than 2,200 different networks. Back in 2010, Leber gave Data Center Knowledge a tour of Hurricane Electric's Fremont operations, including the first phase of the Fremont 2 facility. This video runs about 6 minutes.